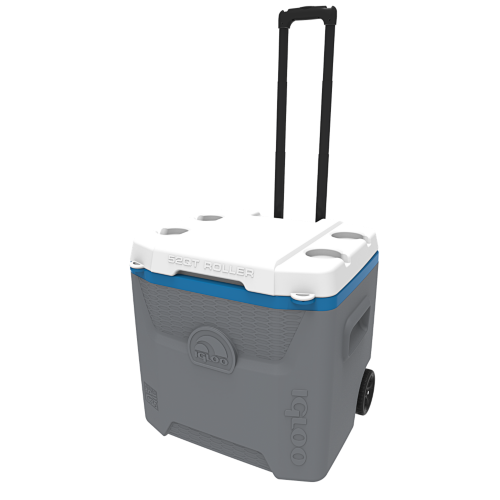 Igloo Product Corp., the number one cooler manufacturerworldwide, has launched the Quantum™ series—a new line of hard side coolers with an edgy,updated design and more built-in value features than traditional coolers. The Igloo Quantum 12 Quart is the perfect size for a hearty lunch or a six pack of sodas. What makes the Quantum so unique is the integration of many innovative user conveniences into the cooler design. 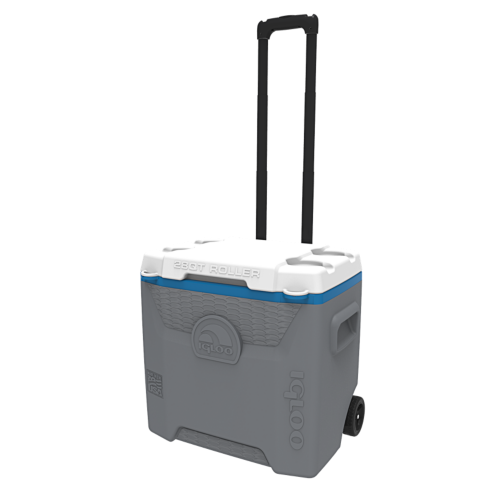 Igloo Product Corp., the number one cooler manufacturer worldwide, has launched the Quantum™ series—a new line of hard side coolers with an edgy, updated design and more built-in value features than traditional coolers. The series currently consists of three products—the Quantum 12-quart, Quantum 28-quart Roller and the Quantum 52-quart Roller—and showcases a modern new design with honeycomb-textured inserts, vibrant color combinations and bold molded-in graphics. Easily identifiable by their bright blue liner, the series incorporates many innovative, functional features like Cool Riser Technology to keep the cooler base off of hot surfaces, integrated pouring channels in the liner, lockable lids, and self-draining cup holders. 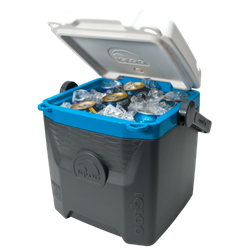 Each of the three coolers in the series have additional product specific features like locking, telescoping handles with gear hangers; dry storage compartments; molded-in side handles; fully insulated lids; recessed, triple-snap drain plugs and built-in, internal shelf-ledges. The Quantum 12-quart and Quantum 52-quart Roller are currently available at retail with MSRP’s of $19.99 and $39.99 respectively. The Quantum 28-quart Roller will be available at retail in June with an MSRP of $29.99. For further information about Igloo Quantum series or about any other Igloo product, contact Katie Davis at kdavis@igloocorp.com.